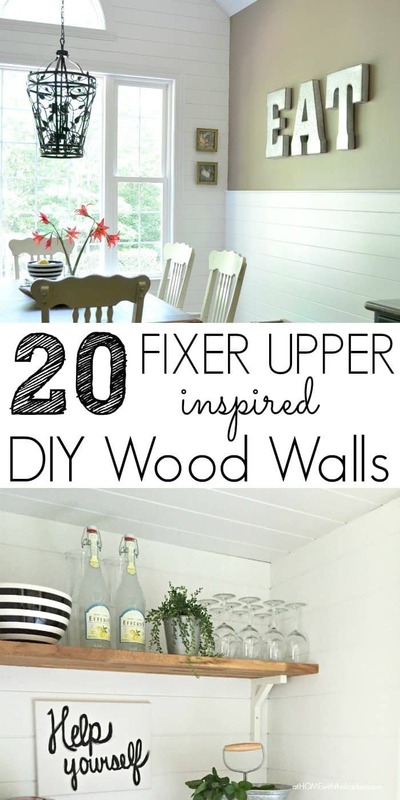 Whether you call it shiplap, tongue and groove planks, or paneling adding texture to walls is a super hot trend these days and my home is NO exception. We have completed lots of projects in our home using wood planks. Our kitchen wall, the mantel, beverage bar walls and a DIY headboard! I use the word trend but wood planks are really timeless in home decor and have been in home decor for many many years. The best thing about wood planks on walls besides the texture of course is the way they work with any decorating style you desire. 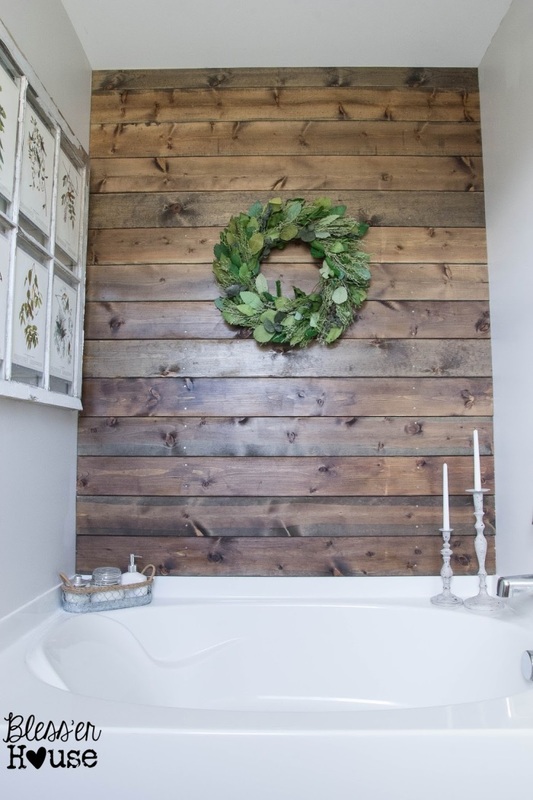 I love homes with all wood plank walls and if I was going to build a home to look timeless, I would consider this look on all of my walls. Today I’ve gathered lots of inspiration for you. If you want to save any of the individual photos to your Pinterest boards be sure you click over to the source link and Pin It from there. It helps give the creator credit as well as lead you to the source when you need it! If you would like to keep a file of all the rooms just pin my graphic at the top of the page. 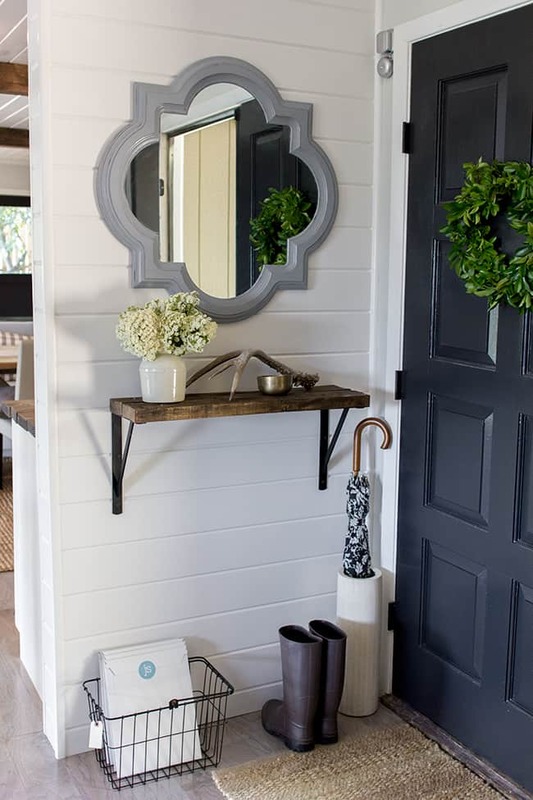 This entryway is a small enough space for a very budget friendly plank wall yet it offers a bug impact. Source // Jenna Sue Design Co.
Plank walls and ceiling look so great in our beverage bar. Beautiful detail here in this office space. Our kitchen plank wall is a beautiful addition to this space. Makes such a statement for this wall with all the windows. Very inexpensive idea for a kitchen backsplash. I really love the stained look and how much difference it makes over the bathtub. 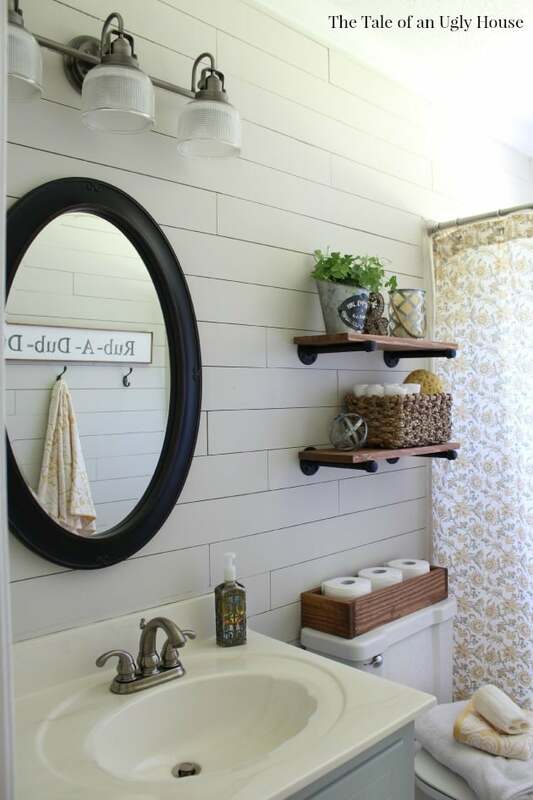 Then there’s the beautiful white shiplap in the bathroom. Don’t think you have to add plank boards all the wall to the ceiling. 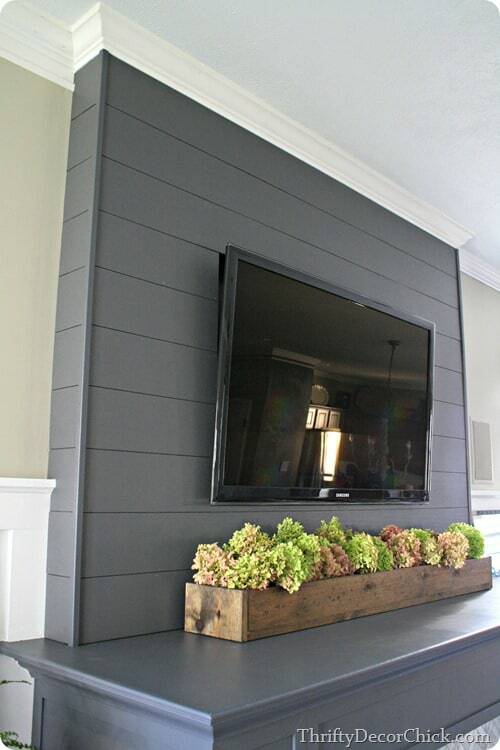 This partial planked wall looks great! 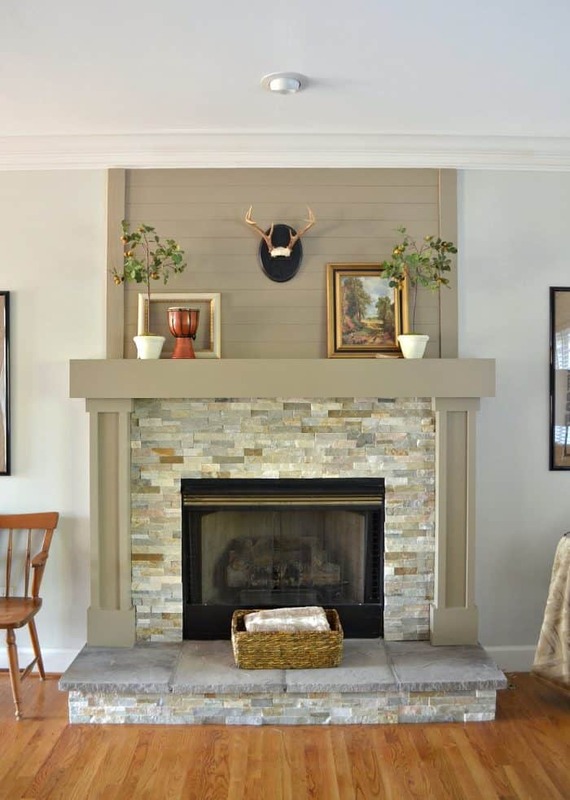 My mantel makeover was one of the easiest, budget friendly DIY projects we have completed! Not wood planks but a great option! Walls and ceilings can really standout even when painted all white. It is all in the detail. Love the clean lines of this mantel and the paint color is gorgeous. 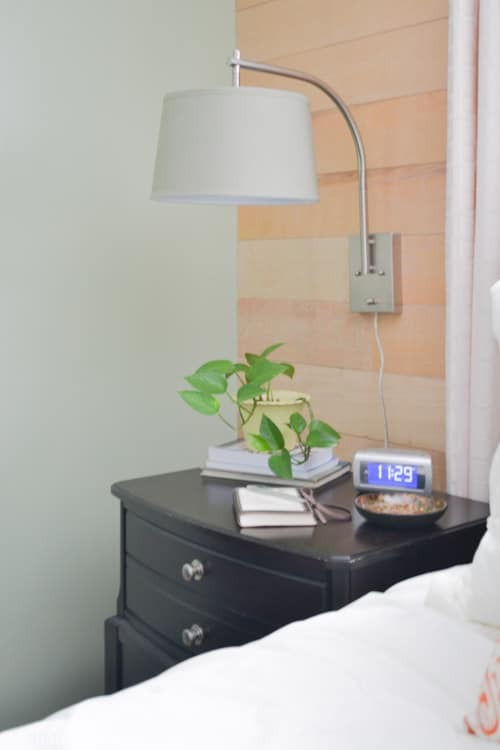 Our idea here was to add details to the wall while giving ourselves a headboard look. Accomplished! 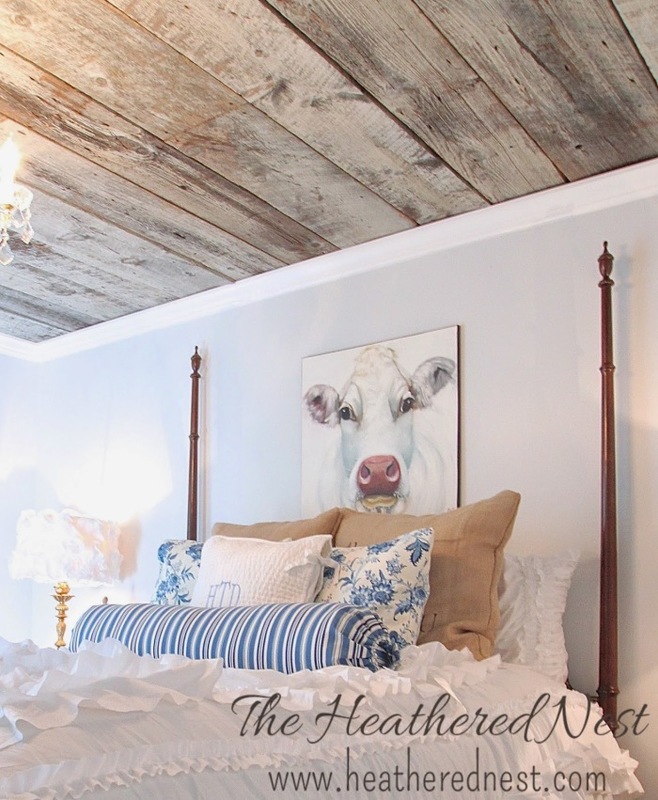 I used the same idea from the headboard above for our bench we built in the shed. It allowed us to put a back on the bench by using the wall. 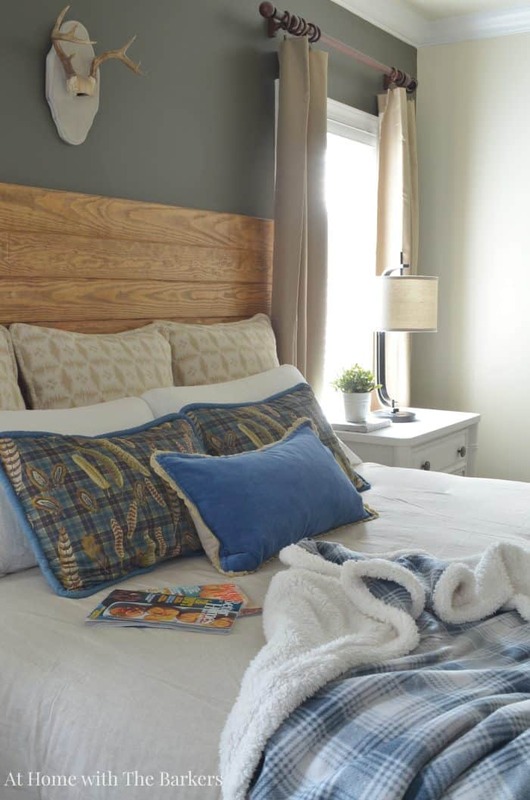 One planked wall can make a BIG difference and a beautiful impact on any space but especially in the bedroom where that wall is a focal point. I don’t even have the words to describe how awesome this ceiling looks! It’s such a statement. Another shiplap focal wall in a totally different style of space. I told you it could be incorporated to fit your space. 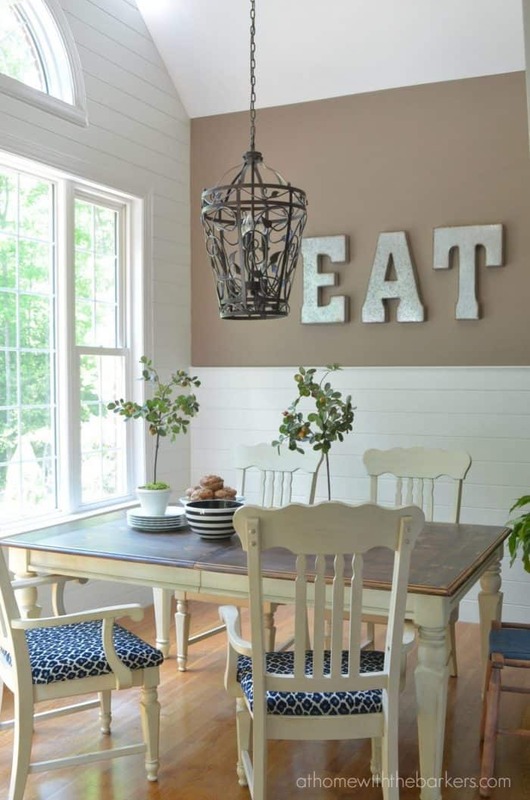 I thought I would also show you my dining room walls that is a board and batten look but a great option for adding detail to walls. I love the stained wood wall in this playroom. Just the perfect touch to add beautiful detail. 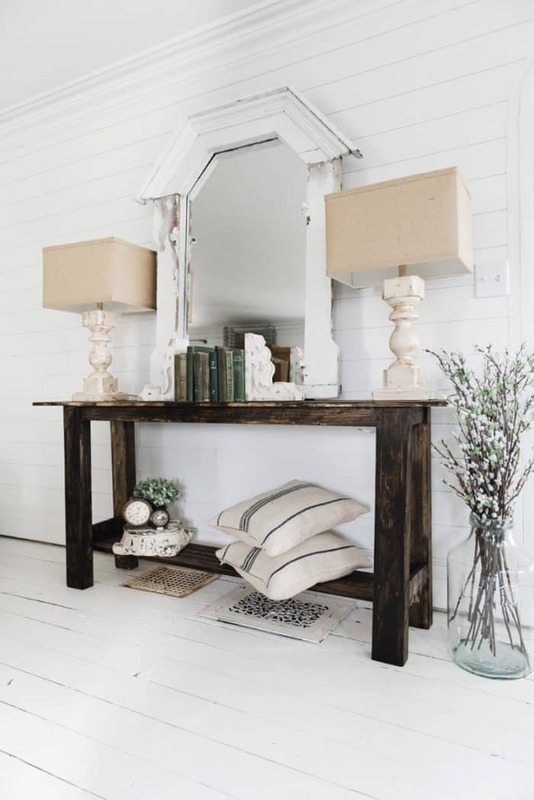 AND last but not least, this amazing farmhouse with so much shiplap and wood walls! Gorgeous every where you look. I loved gathering all of this beauty in one place. 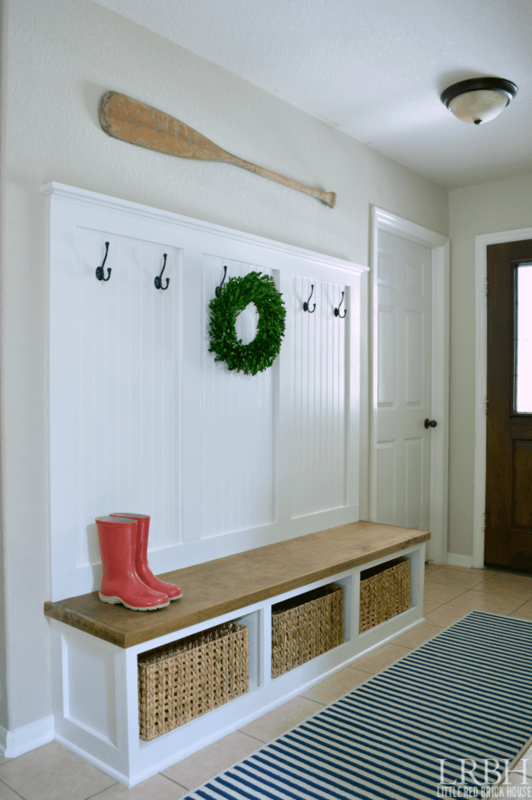 Even though the original shiplap has been around for many many years, wood planks can fit into any home now. 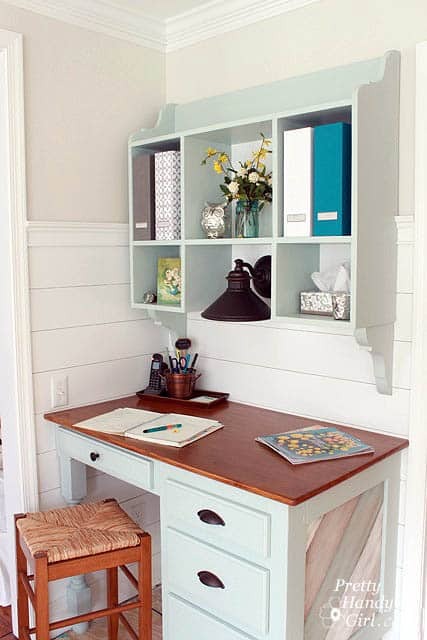 Whether you like stained wood or painted, there are many options for you to choose from. 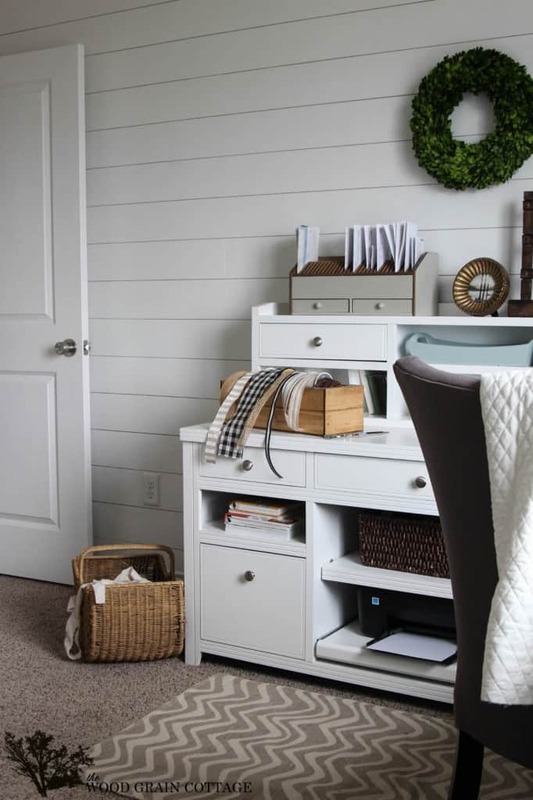 Do you have wood walls anywhere in your home? Do you wish you did now? Your planked walls are just great just that bit over your fireplace and your bedroom add a lot to those rooms. You have been busy but, looks wonderful. Have a blessed weekend. Love your selection of pictures to share. Could you please tell me where you got that galvanized tray you have with the lemons on it? Love your blog. Yes, I bought that tray at Sam’s club! It is great for the price! Wow, love all of these pictures! The headboard idea is brilliant! Love your mantel, too! You’re so sweet Meg, thank you! Oh my gosh, Sonya! I was reading up on your blog and stumbled upon this fun surprise! Thanks so much for including me along with so many AMAZING bloggers! 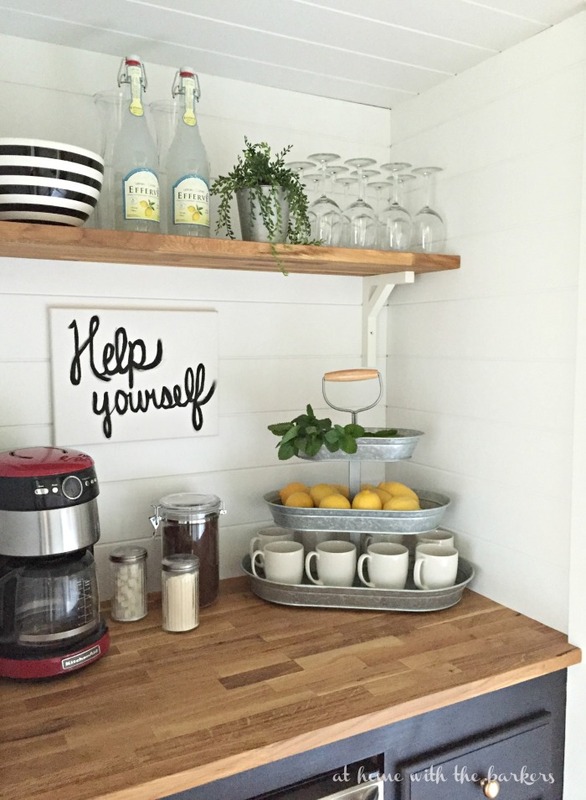 Your kitchen plank wall is so beautiful. Hope you’re having a great weekend, friend! Hsllo there Sonya, I really love the way plank woods have been used in these designs. I really love that second last one there, its surely a bedroom that I would like to spend a night in. Thanks for sharing, I am going to steal some of these ideas. 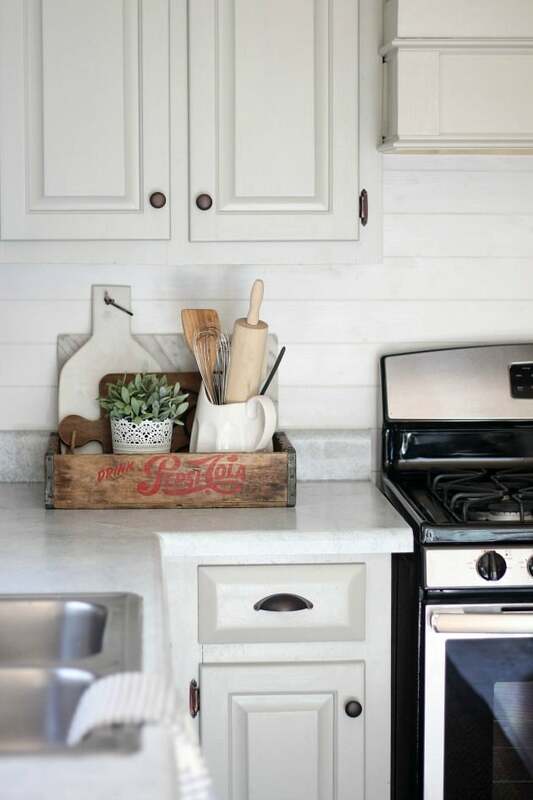 Can you tell me what kind of boards you used in the kitchen and where to get them? 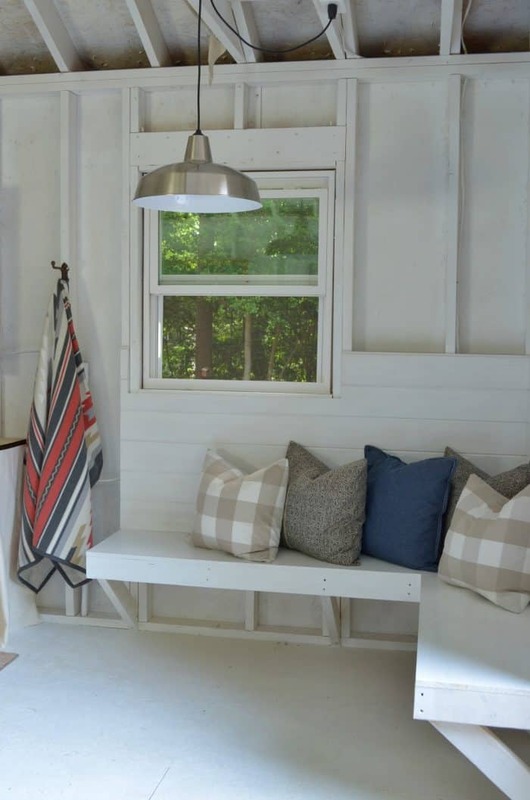 i am in Washington state and can’t find anywhere to buy shiplap or anything similar. 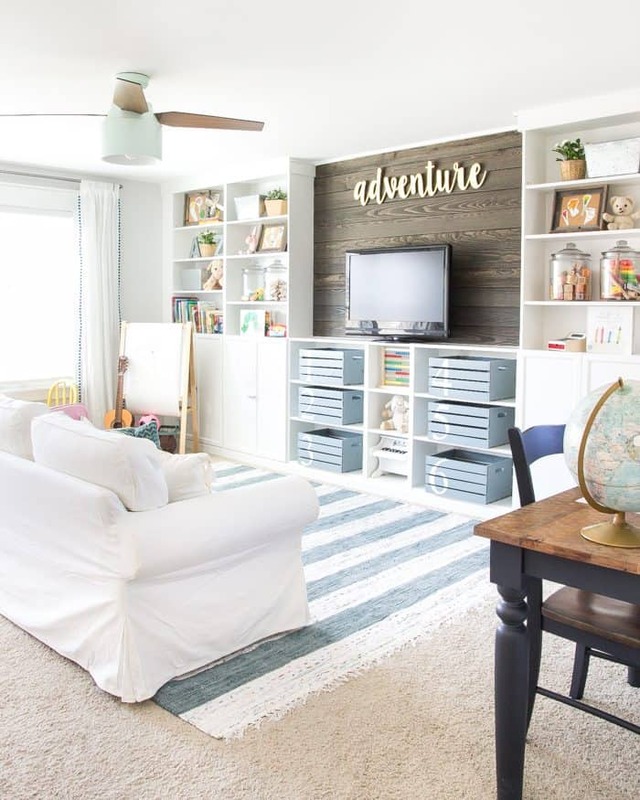 For the tongue and groove wood planks ( http://athomewiththebarkers.com/how-to-install-a-plank-wall/ ) I purchase at my local Home Depot or Lowes. They should be readily available at any home improvement store. First of all, I would like to thank you for sharing such a great blog. Actually, I was looking for similar type blog and I am satisfied with the information that you have shared. The pictorial representation really attractive.